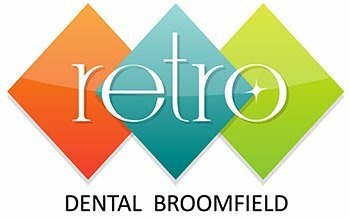 If you have always wished that you could just sail through a dental appointment with little or no stress, we at Retro Dental Broomfield have the perfect solution for you. To ensure you are relaxed, our doctors are trained to offer an alternative to those patients who are reluctant in pursuing dental treatments. Our sedation services are ideal for patients coping with varying fears and dental issues, including highly sensitive teeth, strong gag reflex or a strong dislike for all things related to dental appointments. We offer many types of sedation. We provide oral sedation to help the patients relax if needed, as well as nitrous oxide for those who prefer this option. For more anxious patients, we have IV sedation to create an even more comfortable and relaxed patient experience. If you find yourself avoiding the dentist at all costs due to dental anxiety, our doctors and dental team understand what you are going through, and we are ready and willing to help. No matter if it is just a routine cleaning and checkup or a more complicated dental procedure like a root canal or extraction, we will offer you minimal, moderate, and deep sedation dentistry to help make your visit a positive experience. Oral sedation is a popular choice that will help calm your dental anxiety. You will take prescribed pills an hour before your appointment to help you feel calm and relaxed. Nitrous Oxide, also known as ”laughing gas”, is the most frequently used method of sedation dentistry. This is an odorless, colorless gas, administered by using a facemask, giving you complete relaxation. After using this type of sedation, when the procedure is finished, you are not impaired and have the ability to drive yourself home. The IV sedation requires you to bring someone along to drive you home. IV sedation is for patients with severe anxiety and will be administered intravenously. The beauty of this sedation is that you will not remember a thing. At Retro Dental Broomfield, you make the choice for experiencing anxiety and pain-free dental treatment.